The Airports Corporation of Vietnam (ACV) has submitted its plan to install a foreign object debris detection system (FODetect) at Noi Bai and Tan Son Nhat International Airports in order to banish birds from airport runways. According to the ACV, the FODetect system, which it said would cost over VND1.16 trillion (US$52 million) to install, would be able to monitor runways 24 hours a day, compared to the current method of using human resources to check seven times a day. The airport corporation suggested that the plan be financed through private funding, and that airlines be charged from $17 to $35 per flight, so as to reimburse the investor. 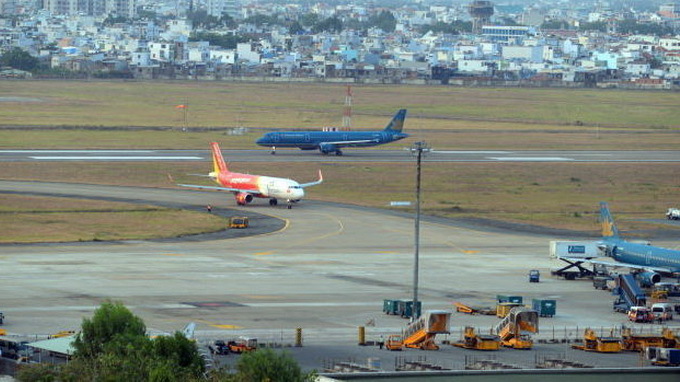 The proposal, however, was found to contain several shortcomings as far as the Civil Aviation Authority of Vietnam (CAA) was concerned. In its letter to the Ministry of Transport, the CAA said the mobilization of investment from the private sector was necessary in light of limited government funds, but it asserted that the ACV’s proposal failed to include the investment type, management plans, an operating entity, or socioeconomic benefits. The aviation watchdog also demanded that the ACV elaborate on the FODetect system’s capacity to operate in unfavorable weather conditions and at different hours of the day, its area of operation, and its general feasibility whether integrated or expanded in the future. Questions on the project’s rate of return were also raised, as the CAA said that at the proposed per flight charge, the investor would recoup its money in six and a half years, a time it deemed too short. The aviation authority has since requested that the charge and return rate be recalculated to avoid a surge in operating costs for airlines.